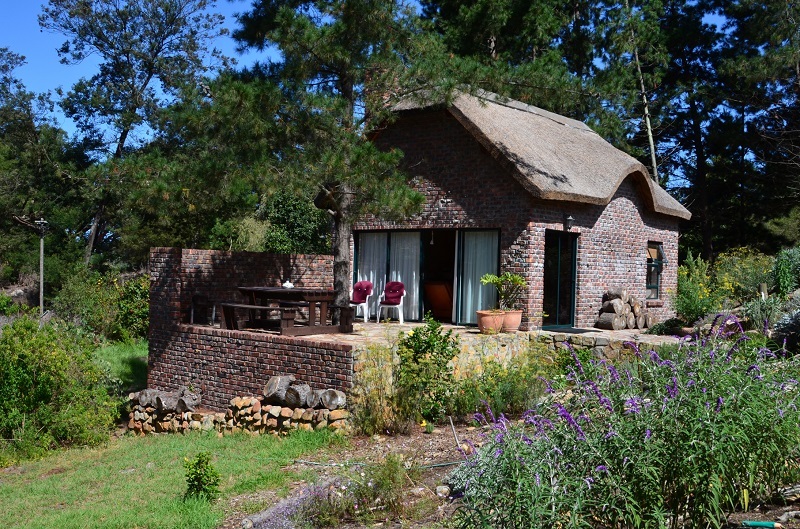 A romantic get-away or a mountain biking/ hiking adventure in the beautiful Elgin Valley. A relaxed country atmosphere with prolific bird-life. 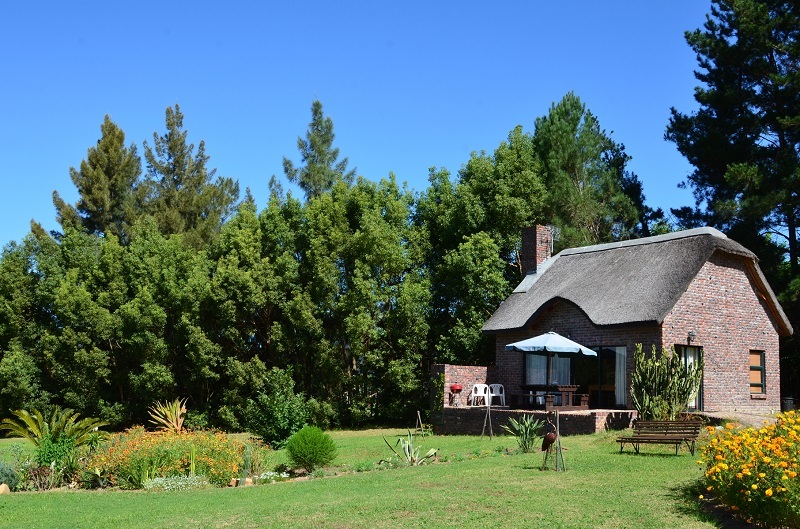 Set in over a hectare of mostly indigenous flora on the Klip River with mountain views. We have 3 free-standing face-brick thatched cottages of approx. 7 x 5m each. 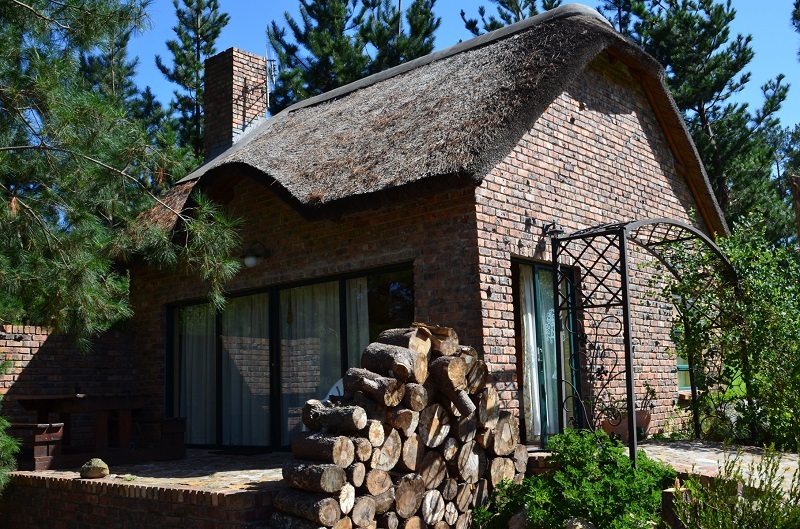 All cottages are open-plan with their own patio and braai facilities together with an indoor fire-place and furnished with Cape Antiques and leather couches. Each has both a shower plus a double bath with either a king-size or 2/3 single beds and sleeps 3 comfortably.